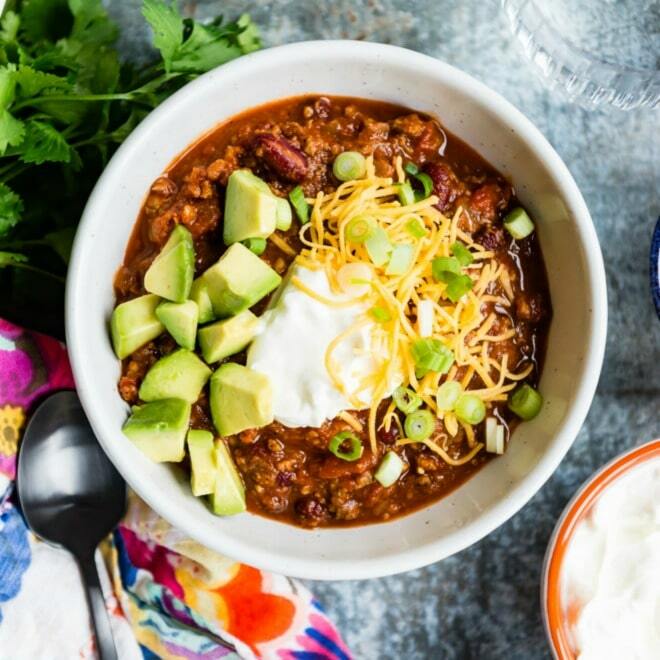 This easy Venison Chili recipe is hearty and delicious, perfect for the cold months of hunting season or any time you have ground venison in your freezer. I grew up on venison. If you lived in a family of hunters, you probably would too. Because deer are HUGE, you end up with a lot of meat and eat it in everything from goulash to tacos to spaghetti to burgers. And everything else, ever. Including chili. If you’ve ever hunted, or know/love someone who hunts, they probably have a freezer full of venison and are always on the lookout for new recipes. A lot of hunters have their meat “processed” by a service and you get back neat little packages of ground venison, venison steak, venison tenderloin, venison sausage, stuff like that. But in my house, we did it the old-fashioned way. Manually, on the kitchen table, as a family. I usually ran the meat grinder. If you’ve ever cooked with venison, you know it’s extremely lean. That means you don’t have to drain off the fat in your after you cook the meat which is a nice bonus. The rest of the chili is pretty straight-forward. My mom normally adds celery instead of bell peppers, so feel free to make that swap if you’re feeling adventurous. 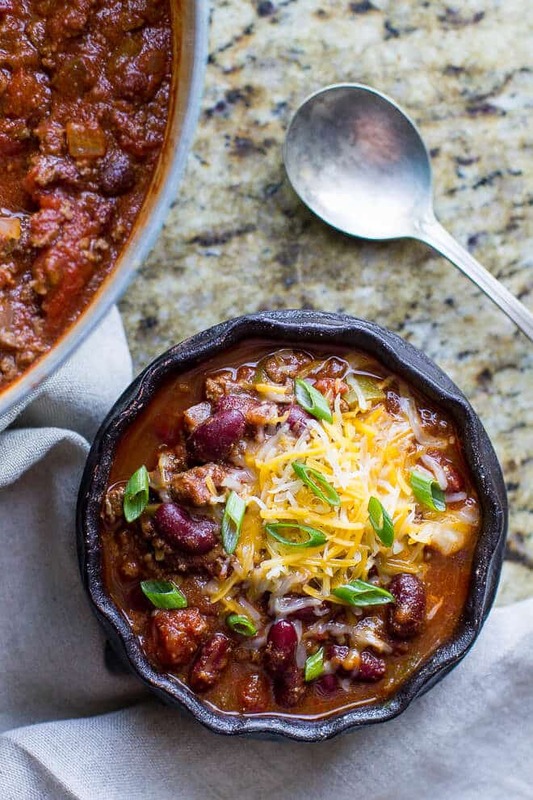 If you don’t know a hunter and can’t track down ground venison, you can still enjoy this chili recipe. Just substitute lean ground beef and you’re on your way. 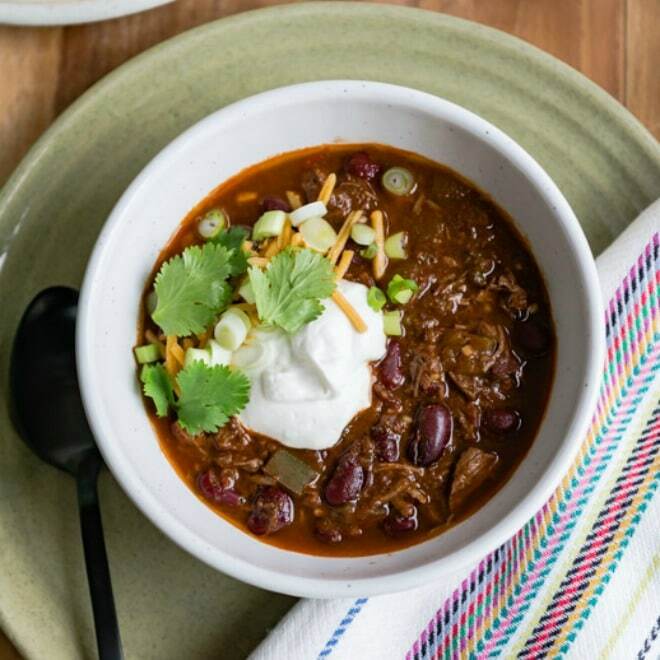 If you want to make Slow Cooker Venison Chili, follow the recipe below through Step 2. Then, combine everything in a crockpot, cover, and cook on HIGH for 4 hours or LOW for 8 hours. Hey Justina! So cool. Are you working as a chef now? I will have to work in a restaurant as part of my program (internship type of thing). I’m nervous and also looking forward to it! Thanks and take care. 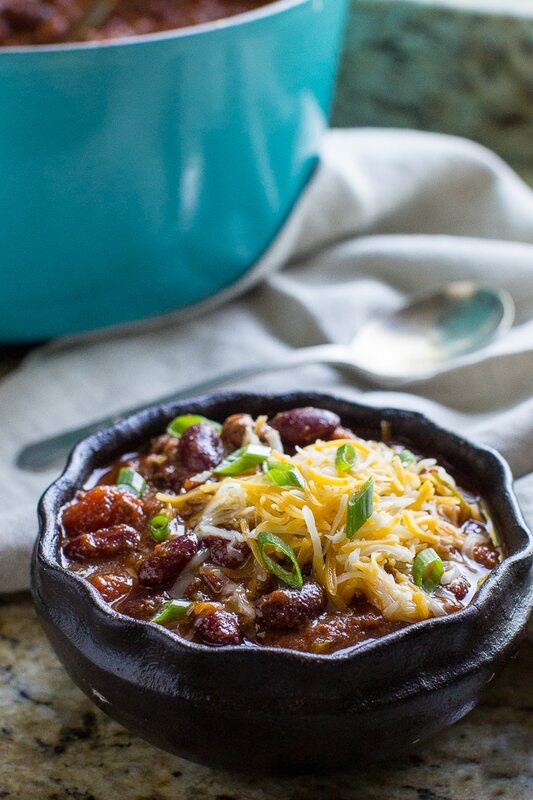 This chili is awesome and deserves more comments! It’s my go to venison chili recipe. Thank you for sharing. Is the calories 388 or 338? It says it different in different spots on the page. So sorry about that! It’s 338. I calculate it in the nutrition label and then drop it in to the recipe above, so the spot above is a typo (I didn’t transfer it correctly). As for the serving, I need to make this again so I can calculate the yield. Until then, all I can say is 1/8th of the recipe. Which is not very helpful. :-/ I will definitely make it again in the next week or so (which I realize doesn’t help you right now, but I’ll make it a priority). Looks like most of my recipes that are similar don’t have this info. Sorry about that! Any idea how many cups this makes? Or how much is in one serving? 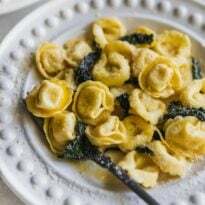 I really loved this recipe!! I started it last night and let it cook on low in my crock pot all night and it turned out amazing! The only other ingredient I added was a couple of diced jalapeños to add a little spice to it. Thank you so very much for this recipe! I will definitely share this and highly recommend it! What size slow cooker would you recommend? I’m trying to gauge if I should halfen the serving size and ingredients..
Hi Tony, I’d recommend a 6-quart slow cooker. If yours is a lot smaller than that, yes you may want to cut the recipe in half. Thanks, if you need anything else just let me know! Can you use this with any other venison besides ground? We have a bunch of venison steaks that I can cube but won’t be able to get ground venison in time for when I need the chili by. Thanks! Hi Meghan! Yes you definitely can. I would brown the cubes of beef separately first and try to get the dark, caramelized effect on them (so do it in batches so they don’t steam). If that makes any sense at all. I also have a recipe for Chile Con Carne which is super tasty, spicier than this one, but it uses beef roast which is closer to venison steaks. You can see it here in case you want to check it out. 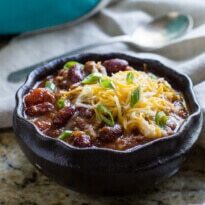 https://www.culinaryhill.com/slow-cooker-chili-con-carne/ BTW it’s a slow cooker version but you could make it on the stove or in the oven or however you want to do it. Please let me know if you have more questions! I’m delighted to help. Thank you and take care! Hi Kelly! The thing that gives the chili the spice is the chili powder and the cayenne pepper. So, you could start with a tablespoon, or two of chili powder, perhaps no cayenne pepper, and see if you like it. Just taste as you go. Make it how you like it! I hope this helps. If you have any other questions just let me know! Take care and good luck! This is so close to how I make mine. I go one step forward and grow my own spices. Good luck on your cooking career. You’ve got a great start! Look forward to reading more. Dennis you made my day! Thank you! I grow a few herbs in an Earthbox on my patio, mostly just basil, parsley, and thyme. I look forward to having a yard/garden/hobby farm again someday where I can grow all kinds of things. Thanks so much for the lovely comment. :) Take care and thanks again! Looks delicious! 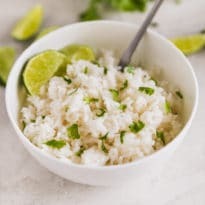 Any tips on how to convert the recipe for an Instant Pot? Thank you Sierra! To make in an Instant Pot, I set the pot to Saute, and once hot, follow steps 1 and 2. It may take a little longer than listed to saute the meat so it is no longer pink. (It took me about 10 minutes) Add the kidney beans, tomatoes, and tomato puree, place the lid on and close (including closing the steam release valve), and chose the Meat/Stew setting and set to cook for 25 minutes on normal. Allow to natural release the steam when done. I hope you enjoy this chili as much as I do! I have made many venison chili recipes and this is my favorite so far! Made this tonight with beef. Very good! Can we just use 1 pound of meat? 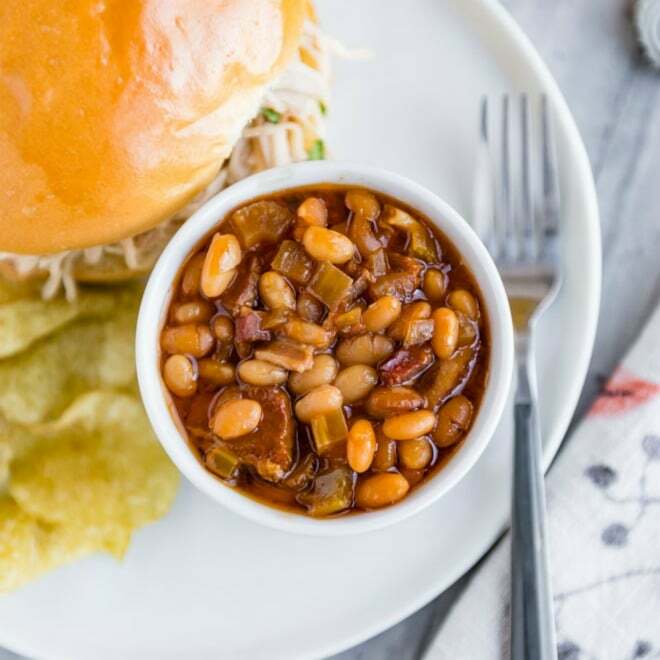 A five quart slow cooker is as small as you can go without cutting the recipe. Mine is a five quart and it all just barely fit. Just an FYI! Happy cooking! This recipe was great!! Would it work to cook the whole batch and freeze half? (I have never done this before but it made a lot of chili for two people). Thank you! 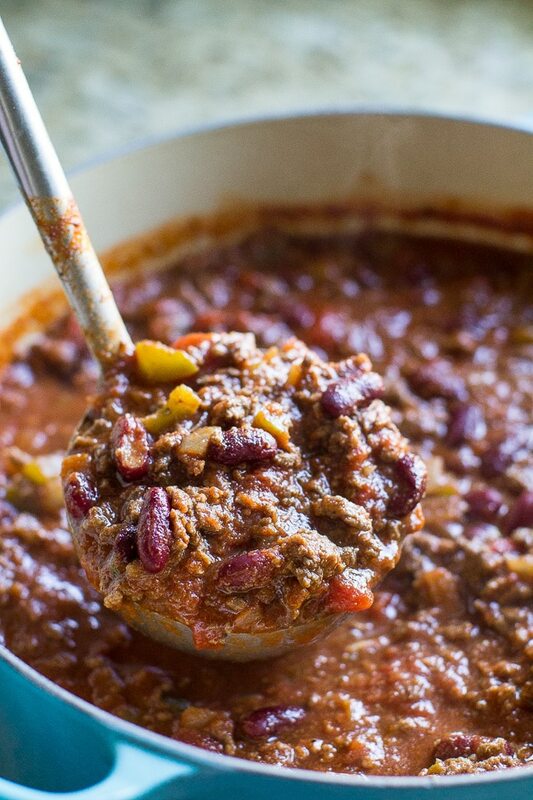 This has been my go to deer chili recipe for the past couple years, it’s fantastic! Could I make this from frozen venison in the the instantpot? How long would you recommend it cook? 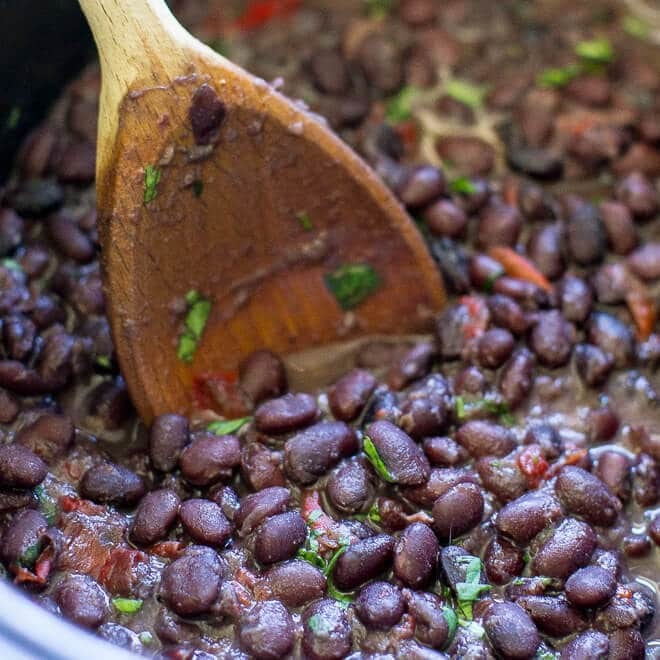 Very flavorful Chili and great recipe! It comes out tasting like Italian chili. I think next time, I’ll forgo the 28 oz can of Tomato Puree so the chili can shine through a little more. All around great recipe though and thank you for posting! Excellent! I did add an extra can diced tomatoes but otherwise made the exact recipe. I would make sure to sauté the veggies first before adding the spices so they don’t stick to the pot. Will be my go to recipe for venison chili. Served it with diced onion, cheese, sour cream, and jalapeños. This was great chili, but I had issues in step one trying to sautee all those ingredients with just two tablespoons of olive oil. I had a big dry mess in the pan just sticking to the bottom and burning. So I went to the fridge and grabbed some chicken stock and put in about 16 oz. After that everything was fine and the chili came out awesome! This was wonderful….i did step by step and it taste great! !